This morning I was at Tanners Lane for first light, on the Hampshire coast, to have a last look at the brents before I returned home this afternoon. There was a decent sized flock of about 800 birds, but no sign of the black brant that was reported from here two days ago. 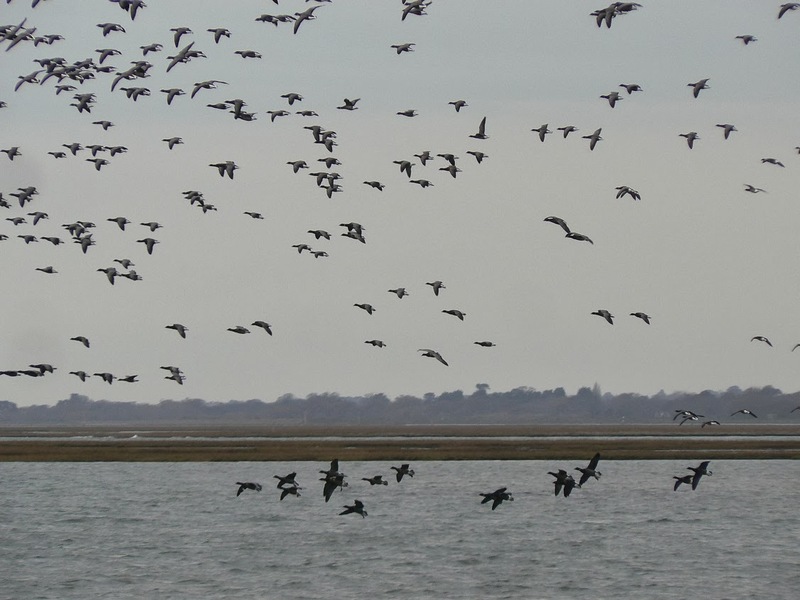 It's always a great experience to watch brents though, and this was a place I've never been to before, with good views over the Solent to the Isle of Wight and the Needles, so it was well worth the effort. There were also plenty of waders, in particular dunlin and grey plover. Most spectacularly, while I was watching the brent goose flock, they suddenly flew up in terror as a goshawk appeared from nowhere and briefly chased them. Awesome! I've never seen any bird of prey chase geese before! Ironically, the name goshawk comes from the Old English name "goose hawk", but I'm not sure if that is because of its size or its habit of preying on geese. I found at least one photo on the internet of a goshawk eating a brent goose. 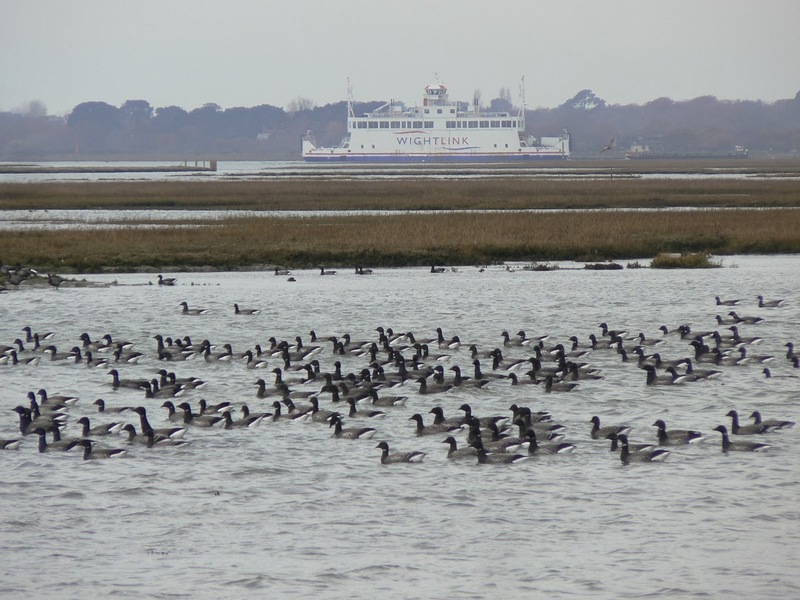 Last week it was pale-bellied brents in Ireland, this week it's dark-bellied brents in Hampshire, but wherever they are, brents always present an impressive spectacle. 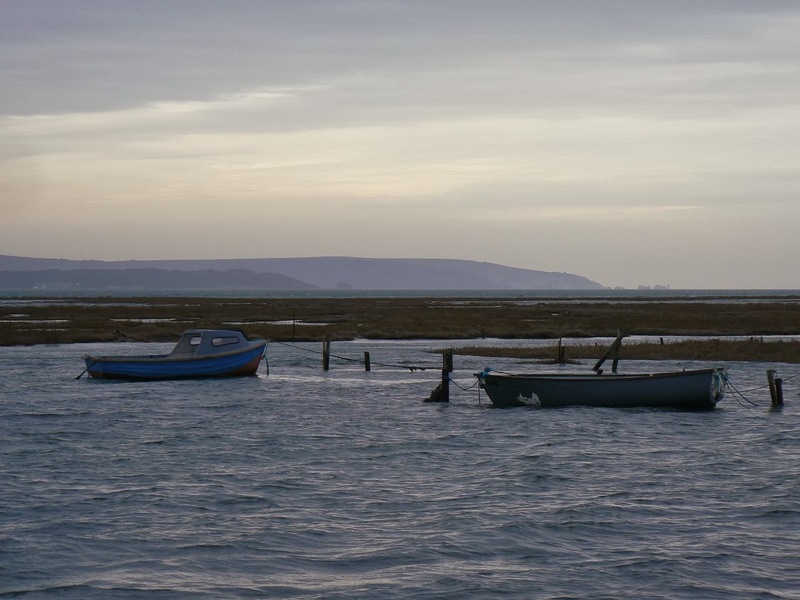 A view over the Solent to the Isle of Wight and the Needles.